Herbal infusions cannot be called teas for they are not from Camellia sinensis tea plants. Their flavor and effectiveness is created by blending a variety of botanicals. This produces a lovely, hot beverage for all sorts of purposes to calm you down, to perk you up, to sooth your stomachs, etc. Twelve Winds Tea Company Sleep Well herbal infusion, which is a blend of chamomile and lavender, creates an internal feeling of calmness, a physical lullaby that makes you feel that all is well with the world. 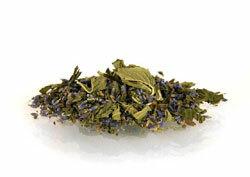 Our Mint Slimmer herbal infusion, which is a blend of peppermint and lavender, produces a delicious, fragrant beverage that is soothing, relaxing, calming, as well as being a useful diuretic. This caffeine-free (no tea leaves) herbal infusion or tisane is a blend of lemon verbena and lemongrass with rosemary producing the finishing "surprise" kicker. From the Yunnan Province, this caffeine-free (no tea leaves) herbal infusion or tisane is a blend of lavender to calm, refresh, and uplift you and peppermint to provide that sweet menthol aroma and crisp flavor. This caffeine-free (no tea leaves) herbal infusion or tisane is calming and soothing. 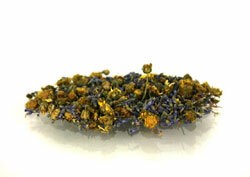 This restful herbal brew is a blend of chamomile and lavender. 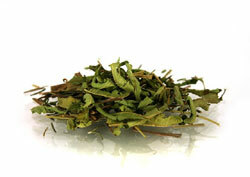 This tisane makes a highly fragrant aroma and flavor with a pale yellow liquor.